What is Your Project Manager Accredited Certification Program? Your Project Manager Accredited Certification Program is a multiple-choice online test examination in which you can participate from your own PC from anywhere around the world. Your test contains 50 questions and you have 60 minutes in a single session to answer your questions. Your test and certification cost in total USD 69. No other hidden costs or fees involved. In order to pass your certification examination and obtain your Project Manager Accredited Certification you need to correctly answer at least 60% of your test questions. Examination success rate is 99.5%. Register Online for your Project Manager Accredited Certification Program. 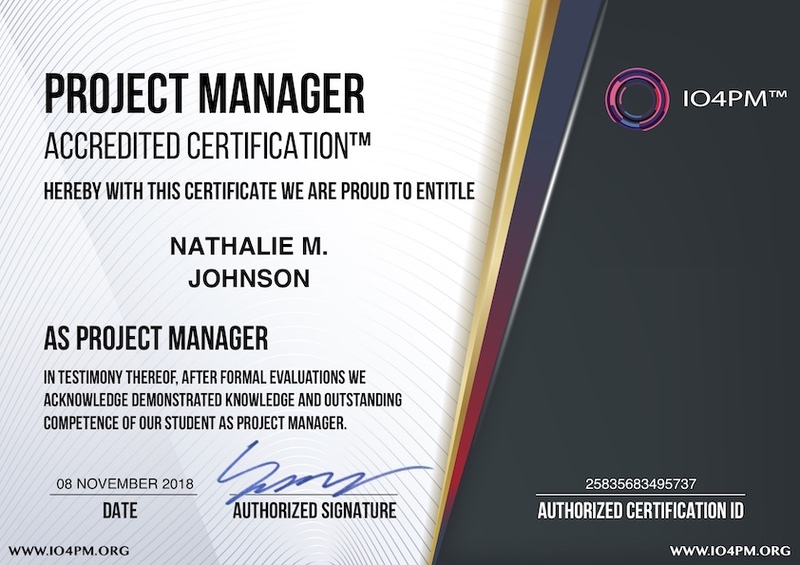 Get your Lifetime and Worldwide valid Project Manager Accredited Certification instantly after you finish your Exam. Examination and Certification are all inclusive for USD 69. No hidden fees ever. 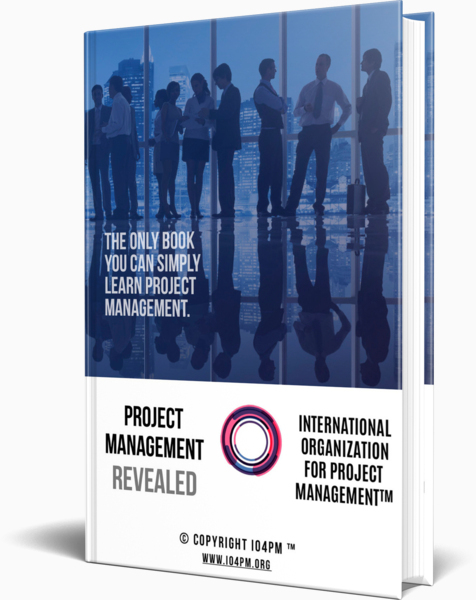 From your IO4PM International Organization for Project Management Industry Feedback page you can read some examples of how the others took the benefit of our worldwide recognized Project Management Certification programs. Furthermore, Our Project Management Certification Owners page provides a list of our students certified by our IO4PM International Organization for Project Management's Project Management Certification Programs. Please have a look at your Frequently Asked Questions page in case you may have some further questions about your Project Management Certification programs. Moreover, please check your Example Project Management Certification Test Questions page to get an idea of how your Project Management Certification test questions look like. Your Project Manager Accredited Certification examination comprises multiple-choice Test Questions. Reading your Online Project Management Training Program will be very helpful for Project Management Professionals like you to acquire the knowhow to pass your Project Management Certification Examination and to get your Project Manager Accredited Certification. We guarantee that Your Free of Charge Premium Online Training will make you pass Your Project Manager Accredited Certification Exam! Why Project Manager Accredited Certification is extremely Valuable for You, for Your Employers and Clients? Accredited Project Manager (APRM) is the person responsible for accomplishing the stated project objectives. Key Accredited Project Manager (APRM) responsibilities include creating clear and attainable project objectives, building the project requirements, and managing the constraints of the project management triangle, which are cost, schedule, scope, and quality. Accredited Project Manager (APRM) is often a client representative and has to determine and implement the exact needs of the client, based on knowledge of the firm he is representing. Accredited Project Manager (APRM) is the bridging gap between the production team and client. Therefore, Accredited Project Manager (APRM) has a fair knowledge of the industry he is in, so that he is capable of understanding and discussing the problems with the production team and client. 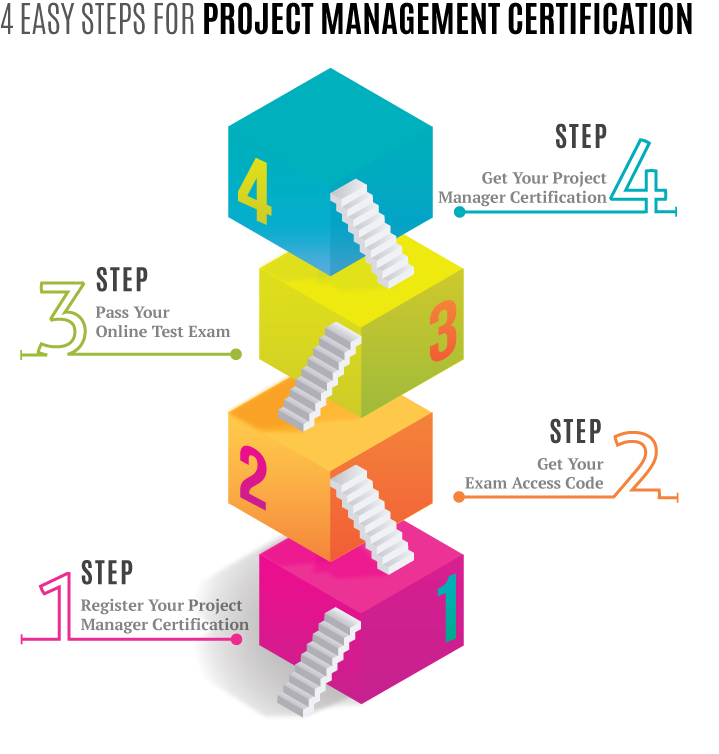 The ability to adapt to the various internal procedures of the contracting party, and to form close links with the nominated representatives, is essential in ensuring that the key issues related to cost, schedule, scope and quality can be efficiently resolved, and above all client satisfaction can be realized. The term and title “Accredited Project Manager (APRM)” describes the person who is given the responsibility to complete a project. Accredited Project Manager (APRM) is the person with full responsibility and he has the required level of authority to deliver the desired project objectives within project budget, on time and with the highest possible quality. It will be your Proof of Competence and up-to-date Knowhow in Project Management Domain.